The Toyota Tundra might be dated, but it still sells well. It's official. Pickup trucks are cool. And not just that. They're outfitted with gobs of comfort and tech that would make a luxury sedan blush. With pickup trucks, there's virtually no compromise (unless parking is a commodity in your 'hood, that is) thanks to daring design, power, and plush digs. Couple that with off-road, towing, and hauling capabilities that leave everyone else stuck in the mud. Now, there are more than ever to choose from, and it's hard to find one that's sub-par, even ones that have been for sale for years. We were at the Chicago Auto Show today and discovered a slew of fine flatbeds strewn throughout the two halls. Here are the best ones we came across. Who knew a pickup truck could look so good in blue? The Colorado in Crew Cab trim does. The Colorado is one of the best mid-size trucks around. It drives better than any mid-size Chevy pickup that's come before it, and it can even be outfitted with a Duramax 2.8-liter turbodiesel engine and tow up to 7,700 pounds. Couple those figures with a comfortable interior, great looks that toe the line between urban and country, as well as GM's awesome available built-in 4G LTE WiFi hotspot. The ZR2 Bison's snorkel might just be our favorite part. Take what's already great about the Colorado ZR2 and make it more capable in just about every way, especially in the off-road department. It capitalizes on the ZR2's already robust 31-inch all-terrain tires, locking front and rear differentials, two-inch lift, low-range transfer case, and a revised front fascia with a better approach angle than a standard Colorado and added tough steel bumpers a total of five skid plates. You can tack on the snorkel for fording water, and for that ultra-cool apocalyptic look. The best-selling pickup truck in America is getting old, but it's a serious workhorse. The F-150 in its current form has been around form (and 15th generation!) since 2015. And though its competitors are newer, the F-150 is still the best-selling full-sized pickup truck in America (and the F-Series pickups are the best-selling vehicles, period). Ranging from the base regular cab all the way to the SuperCrew Platinum, the F-150 is rugged and well-built. There's 3.3-liter V6, a powerful EcoBoost V6, and a naturally-aspirated V8 for engine choices and three bed-lengths to meet your needs. The guys at the local biker bar might get jealous, but you'd better have a Hog. Count on Ford to continue the special edition Harley F-150 in requisite black and orange. But this time, instead of producing the special trimmed F-150 themselves like they did in the early 2000s, Tuscany Motor Company has taken up the mantle. It doesn't just get special paint, trim, and seats, it also gets orange exhaust tips, LED light bar, and plenty of HD branding. Underneath there are suspension tweaks, Flowmaster exhaust, and special 22-inch wheels inspired by the Harley-Davidson Fat Boy motorcycle. Don't mess with the black-trimmed F-250. It's a sinister monster. The Super Duty F-250 is a stump-pulling monster. Properly outfitted, the F-250 can house a huge 6.7-liter Power Stroke V8 turbodiesel engine that delivers 450 horsepower and 935 lb.-ft. of torque. It might just be too much truck for normal folks. The timid need not apply. GMC's version of the Colorado goes a tad upscale from the Chevy model. GMC prices themselves on tweaking the Chevy version of their trucks and SUVs to make them more refined and just plain fancier. It's definitely more a lifestyle pickup than the Colorado thanks to upgrades in the fascia trim and interior. For 2019, the Canyon benefits from a revised infotainment interface, standard Apple CarPlay and Android Auto, as well as a high-resolution rearview camera on SLE and above trim levels. GM went all out on the GMC Sierra Heavy Duty. That's one big, shiny grille. Don't be fooled by all the chrome up front and the very stylized headlights on the 2020 GMC Sierra HD. The biggest feature of this new truck is the towing capacity. 30,000 pounds. That's right. You can tow six Chevy Traverse SUVs with this beast. The Sierra HD has a bigger, stronger frame, a 10-speed automatic transmission, and the available 6.6-liter Duramax turbodiesel engine to thank for that tow rating. 445 hp and 910 lb-ft of torque is downright astounding. Tech almost trumps all with 15 selectable camera views, and a class-first Rear Camera Mirror, and a "Transparent Trailer" mode that uses multiple cameras to make it look like you can see through the tailgate. Whoa. The Ram 1500 is getting a ton of attention in the full-size pickup market, and for good reason. We didn't name the new Ram 1500 our Truck Of The Year for no reason. Not only does it look better than the rest of the pack, it doesn't drive like a truck. The class-leading rear legroom in the Crew Cab version, as well as the optional huge 12" touchscreen make this a go-to truck for rugged duties, as well as daily commutes. Look out GM and Ford. Ram has something to say about heavy duty, and it's in the form of the new 2500 Heavy Duty. The available diesel has a mindboggling 1,000 lb-ft of diesel torque that provides a class-leading 35,100 pounds of towing power. Add on up to 43.3 inches of legroom and the most available audio speakers in the HD class shy of customization, and the 2500 HD is a roving castle. You just have to find parking big enough. The Ridgeline has proven there's a market for unibody lifestyle trucks for urban duty. Honda brought back the Ridgline in a bit more of a conservative design, but the more conventional look proved to be the right move for the brand. It's selling remarkably well thanks to its easy-to-drive nature, great ride due to the rear multi-link suspension, bed versatility, and interior comfort and room. It can even tow 5,000 pounds in all-wheel drive configuration. Don't call it a dinosuar. Call it a hot-selling dinosaur. Nissan is going to bring a new Frontier to market soon, but don't ignore the current one that's been around for over a decade. It still sells remarkably well thanks to it no-nonsense daily-usability. It's small, tough, and totally utilitarian. The fact that you can get it fully-loaded for a little over $30K means its also very affordable. Just don't look for leather seats or great tech, but you'll still get a truck that has proven itself tough and practical. The Tundra is hard to beat when it comes to reliability. The thing just won't quit. 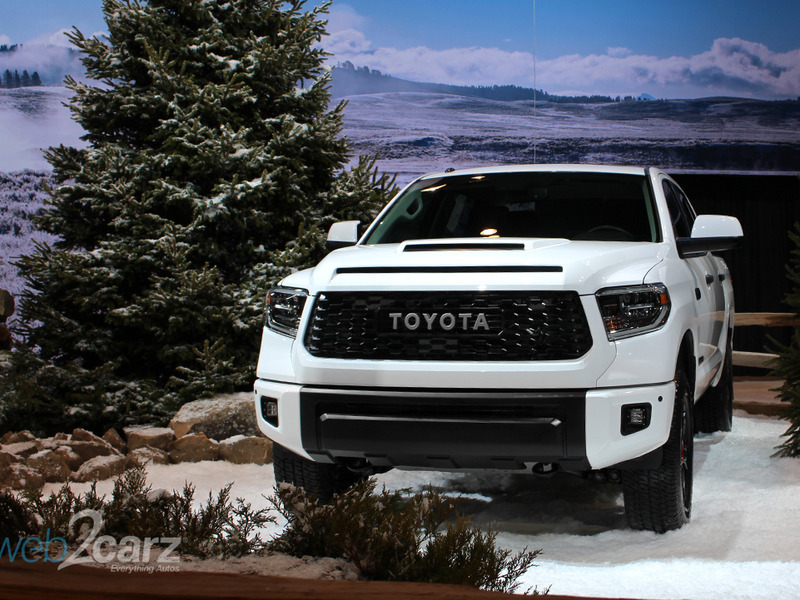 Toyota's mindset with the Tundra might be along the lines of, "if it ain't broke, don't fix it." We're talking about redesigning the long-in-the-tooth full-sizer from Japan. There's no confirmed sign that they'll redo it soon, but the current truck is still very good. The burly V8 sounds great, and all controls are simple inside. If you don't need all the bells and whistles but love keeping your truck out of the repair shop, the Tundra is calling your name.